What Is the Average Carbon Footprint? The average American's carbon footprint per person in 2014 was 21.5 metric tons CO2 according to the University of Michigan. This an increase of 7% in 25 years. It remains the highest in the world since industrialization, but the picture is not uniform across the country or even within a region. With the term "carbon footprint," often in news, people may wonder what carbon footprint is and how theirs measures up. "Carbon footprint" is defined as the measure of greenhouse gases that one is responsible for creating, or units of carbon dioxide that are produced in tons per year. These gases are generated by various activities including transportation, home energy costs, diet, recycling practices, and waste production. It is not necessary to learn a complicated mathematical formula to determine carbon footprint. Fortunately, there are many footprint calculators available online, such as Carbon Footprint's calculator. To determine footprint, enter details concerning home energy use, frequency and distance traveled by car and air, diet, and participation in recycling programs and amounts of waste generated. 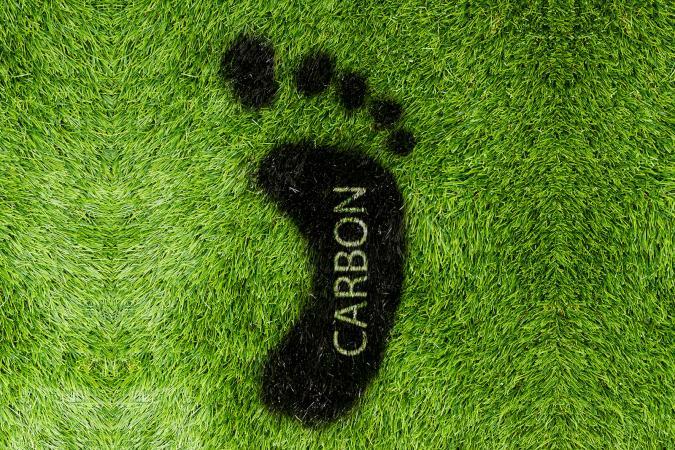 It is possible to calculate carbon footprint individually or based on the household. People can compare their carbon foot to the averages based on location, food and income. The American average of 16.4 metric tons CO2 per year, was over three times the global carbon footprint average of 4.9 metric tons CO2 in 2013 according to The World Bank. In terms of country total, though, the U.S. was no longer the country with the highest carbon footprint in 2014. It was responsible for 15% of the global population in this year and came second after China according to the Environmental Protection Agency (EPA). However the per capita carbon footprint of Chinese is less than half of the American carbon footprint at 7.6 metric tons CO2. In 2015, greenhouse gas emissions decreased slightly compared to 2014 due to warmer weather and less reliance on coal notes the EPA (Sources report). New York City has an average carbon footprint of 32.6 metric carbon equivalent tons (MCET). People in New York produce only 5 and 7 MCET through travel and housing, since they use public transport or travel short distances. Houses are typical smaller and need less energy to warm. On the other hand, people in Giltner in Hamilton County in Nebraska produce an average of 65.3 MCET, with the maximum source being transport which is responsible for 23 MCET. Housing is also 22 MCET. Transport is four times and housing is three times more polluting in Giltner than in New York. Contributions from food, goods, and services are nearly the same in both rural and urban areas. Cities have a lower carbon footprint only where the people live in smaller houses in crowded cities, like New York City, and commute shorter distances. So New York City has a lower carbon footprint of 32.6 MCET than Denver, CO, where people have an average carbon footprint of 62.1 MCET. This is because in Denver, average houses are bigger, contributing 18 MCET (2.5 times more than New York). The city of Denver is widespread so their transport carbon footprint at 23 MCET is four times more than New York notes a Live Science report. 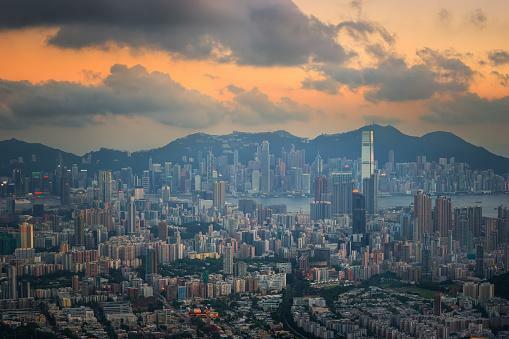 UC Berkeley News has found that larger a city, is the larger is its suburb. People living in the suburbs are more affluent than those in the city center, so they have larger houses. Moreover, the sprawling suburbs means people are also clocking up more miles. Suburbs are thus responsible for 50% of household emissions in the U.S. New York City's suburbs, for example, are not as green as the city center. Manhasset, one of its suburbs in the Nassau county, has an average footprint of 72.4, and is double that of New York City. The emissions due to transport are four times that of the city center. Similarly larger houses means 2.5 times more emission than the houses in the city center, according to data from Berkeley's interactive map. So the average carbon footprint of people in suburbs can be many times more than the national average carbon footprint. New York's suburbs are three times as polluting as the national average and more than even some rural areas like Giltner. Not surprisingly, a scientific study reported in Environmental Science and Technology in 2014 showed that suburbs produce approximately 50% of the total U.S. carbon emissions. The two main sources of emission in cities, rural areas, and suburban regions are energy and transportation. Energy: Americans live in large houses, an average of 200 square meters, the largest in the world, according to Shrink That Footprint. Living space per person has increased by 258% since 1950 in the U.S. points out the University of Michigan. Large houses need more energy to warm and cool and for lighting. The EPA (Sources report) says that electricity consumption by homes and offices accounts for 33% of all emissions due to electricity use. Emissions due to electricity production and use is the second largest carbon emitter contributing one-third of the total U.S. emissions. In addition,, homes and commercial sectors release 12% of carbon through heating, cooling, cooking, and waste management. Transportation: Many Americans drive gas-guzzling vehicles such as SUVs. There has been an increase of 24% in car size and 89% in horsepower between 1988 to 2015 notes the University of Michigan. These cars are then more polluting than smaller models. Most people in rural areas have to travel long distances to get to work, school, shops and for entertainment. Passenger cars used by people for domestic travel accounts for 43% of fossil used in transportation states an EPA summary based on 2015 data (pg. 11). In this year transportation totally in turn produced 27% of all emissions in the U.S.
Agriculture accounted for 9% of the emissions in 2015, according to EPA, Sources. However, the type of food produced whether it is crop or livestock is an important criteria. A 2014 scientific study found producing a meat-based diet released double the emissions as producing vegan food. 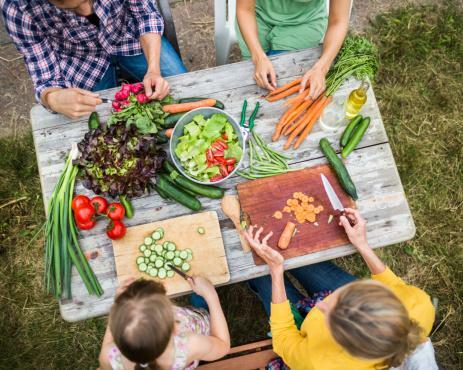 An article in The Guardian points out that if people worldwide were to adopt a complete vegetarian diet, it could reduce carbon emissions by 63% by 2050, and by 70% for a vegan diet. Moreover, it is over-consumption of meat that is the problem. Eating less and healthy portions of meat can reduce carbon emissions too. Sixty-eight percent of organic farms in Europe farms examined by a meta-analysis of 107 studies released less greenhouse gas emissions. They found that it was field and mixed crops producing grains, and dairy that had less carbon footprint than conventional farms. Moreover, organic farming can help in sequestration of 100% of carbon emissions and store it in the soil according to a Rodale study reporting on an experimental trial. The carbon dioxide used by plants in photosynthesis is used to make cellulose and starch and distributed in the plant. Usually, above ground parts are harvested leaving roots in the soil (except in root crops and tubers), so that the carbon in them is stored in the soil. So organic food is also the better choice for reducing one's carbon footprint. Shrink That Footprint points out that only 11% of a food's carbon footprint is due to transport. So eating food with a low carbon footprint it is not enough to choose local food to reduce emissions, but it must also be seasonal. Seasonal vegetables and fruits require no artificial help to grow and are have less carbon footprint. As an example, they compare seasonal vegetables to eating tomatoes year-round in colder regions that require a lot of energy. Oxfam reports that the "richest 10% of people around the world, have average carbon footprints 11 times as high as the poorest half of the population, and 60 times as high as the poorest 10%." This 10% of the world population is responsible for 50% of all carbon emissions. The difference widens when only the top 1% of the earners are compared with the poorest. These group's average footprint is 175 times larger than the lowest 10% (pg. 1). There are differences between different parts in the emissions between the rich and poor. The top 10% in US emit 50 MCET, while India's top 10% emit 2.07 MCET. The U.S.'s bottom 50% emits 8.57 MCET and India's bottom 50% emits 0.42 MCET, according to Oxfam's Technical Report (pg. 10). So India 10% richest have an average carbon footprint that is a quarter of the poorest in the U.S. This highlights the fact that lifestyle is a major factor when it comes to carbon footprints. In the U.S., people who earn less around $5000 a year have half the footprint (with less than 3 MCET ) than of those earning between $10,000 to $30,000 a year, whose carbon footprint is more than 5 MCET according to Hoover Report (pg. 13). Whether one's carbon footprint is above or below the average, there are plenty of ways to reduce it and increase the quality of the environment. It is not necessary to completely change one's lifestyle, but to make subtle ones and live a "greener" lifestyle. With the increasing concern of climate change, there is a growing body of technology to address emissions in all spheres of life.